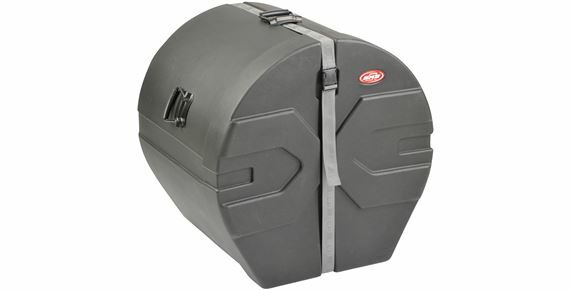 Order your SKB Roto Molded Single Drum Case from AMS and enjoy 0% Interest Payment Plans, Free Shipping, Free Extended Warranty & 45 Day Money Back Guarantee. 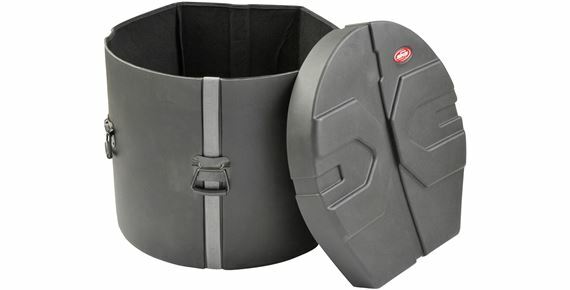 SKB's NEW revolutionary Roto-Molded D-Shaped drum case design features molded-in feet for upright positioning and stability. 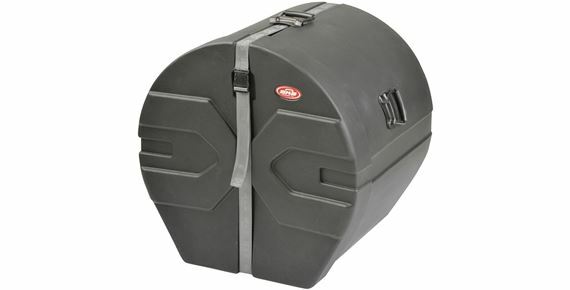 Stackable, lined, protective drum cases at a fantastic price. 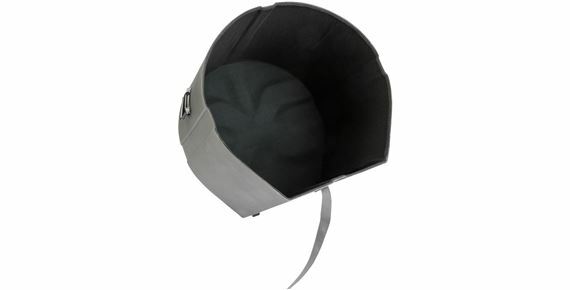 New fabric-covered foam inserts securely cradle the drum with maximum protection. Sure grip handles with a 90-degree stop for easy lifting and transporting. These are top-of-the-line cases at a great price. As a corporate policy, SKB continues to update and upgrade the product to take into effect the latest in technology and style changes. SKB products are fully warranted against defects in materials and craftsmanship while in possession of the original owner. SKB will repair or replace any product found to be defective. Damages due to accident, improper care, negligence or normal wear, where SKB is not at fault, will be repaired for a reasonable charge. Besides the SOLID case shell, military-quality handles and snap latches on the heavy-duty case straps, the interior of these cases are lined with high-grade thick cloth padding, as opposed to cheap foam "protection" that generally falls to pieces in short order. 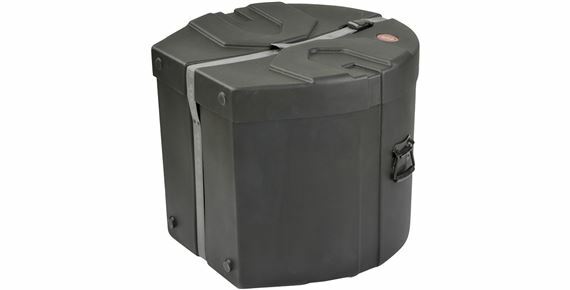 This padding is also on the interior of the case lid, resulting in complete protection for any drum. 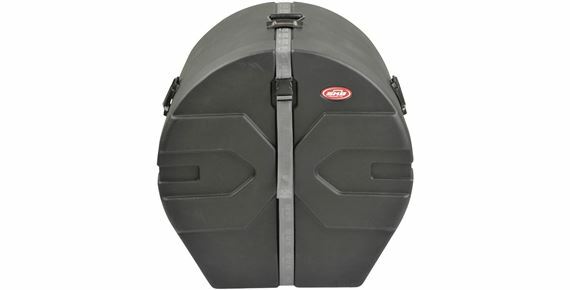 SKB Cases are more expensive than so-called "waterproof" fiberboard cases for the same reasons a Mercedes-Benz costs more than a Kia. Well made using nice quality materials. Thoughtful design. The increased sturdiness and water resistance over fiberboard cases was key for safely storing my larger drums. I got the 18X22 case also. The quick release connector is a very nice feature over the standard over-under threadthrough pull tight hold-down. These cases are an incredible value considering most alternatives in this price range are the fiberboard cases - which are not as strong and not water resistant/proof. sounds sort of plastic, with a hint of metal and nylon. these case are perfect. they stack well and are very strong. i dont worry about my drums when i put them in, even if i drop them. these are not cheap "bags" that only protect from certain situation. i wish my car was as tuff!